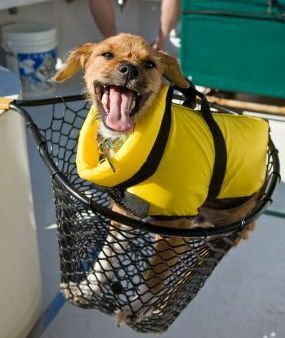 The advantages of fish oil for dogs are plentiful. It's no longer just a supplement for humans, or a benefit that cats enjoy from eating fish. Nope, your dog can have similar health benefits from fish oil. Did you know that fish oil aids in the relief of canine allergies? It can also help many conditions including kidney disease and arthritis. Fish oil or salmon oil for dogs can also assist in supporting vision, the heart, joint health, and it provides a boost to proper immune functions. One secret to fish oil is the omega-3 fatty acids. You can add fish oil to your dogs diet in a pill or liquid form. 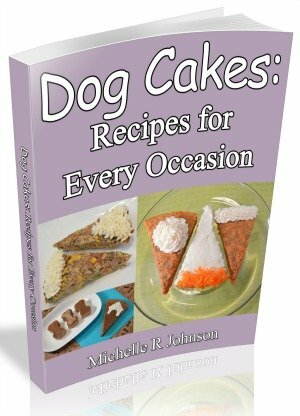 But you can also make dog treat recipes that contain natural sources of fish oil. We're going to focus on salmon and tuna. These are readily found processed in cans and easily used in dog treat recipes. Want to get started with homemade salmon dog treats? Then start with the Salmon Cakes for Dogs recipe, it even has a dog friendly "tartar sauce" dip. A great tuna dog treat recipe is our Four Herb Tuna Tots. You can substitute the tuna for salmon or turkey for variety. A prime place to see the effects is in your dogs skin and fur. It can help relieve the symptoms caused by allergies, such as hair loss, dry skin and dull fur. This super supplement can also help stop excessive shedding. The advantages of fish oil will help your young, adult and senior dogs. How quickly can you see the effects? Well, it depends on your dog. But remember that it will be working from the inside out. So your dog will begin to benefit right away, but it could be several weeks before you notice a difference. Fish oil for dogs is an incredible addition to your dogs diet. However, please consult your veterinarian for the amount and type of fish oil needed for your individual dog.